Maureen Marshall and Mr McWannel receive Gold K awards from next year's Student's Council president Brian Long during the June award ceremony. 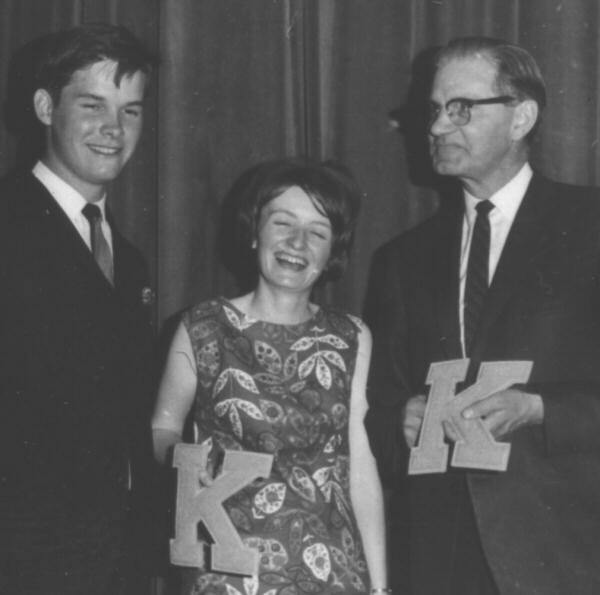 The Gold K is the highest award given by the KSS Student Council. Top line: Richard Blakely, Ken Tani, Charles McLaren, Phil Park, Craig Whalley, Jerry Bond.